This is short story about a sweet little girl and her incredible journey. Blonde hair, beautiful blue eyes, and an infectious smile are just a few characteristics to describe Bryleigh who attends Selby Preschool at The Haven. With her larger than life personality, Bryleigh has made an impact on our lives since she enrolled at Selby Preschool in October 2016. 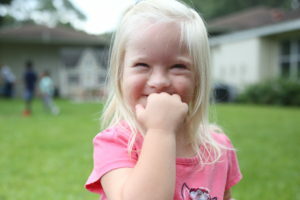 When we first met Bryleigh, she was a bashful toddler with Down Syndrome who was unable to participate in group activities, clung to the Selby Montessori instructors for every need, and had very limited communication skills. She has come a long way since her first days with us. Our Montessori-style method of education based on self-directed activity, hands-on learning and collaborative play has empowered Bryleigh to be more at ease in her learning environment and with her peers. She is thriving at Selby preschool. Bryleigh is exploring her independence, practicing self-supporting habits like picking up after herself and washing her hands, and she is expanding her comfort level for social interaction when she works alongside friends to solve a problem or project. She is a bubbly little girl who enjoys holding hands and participating in group activities; especially yoga! Bryleigh is learning simple sign language and has begun to imitate the language skills of her speech therapists, instructors and peers. 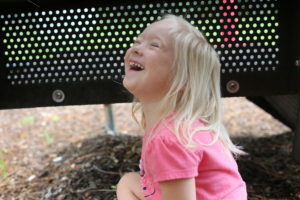 Bryleigh’s preschool journey is a prime example for the benefits of classroom inclusion. The term inclusion captures an all-embracing societal ideology. 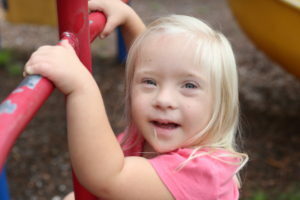 Inclusion secures opportunities for students with unique abilities to learn alongside their typically developing peers in general education classrooms. Studies show that after one year of an inclusion based preschool, children with unique abilities gained language skills comparable to typically developing children when surrounded by highly skilled peers in their classroom. Selby Preschool provides quality educational programs to empower our students to reach their educational potential and lead a fulfilling and productive life. 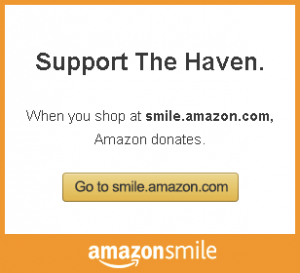 Selby preschool Spotlight is written by Jordan Cadavid and features students of Selby Preschool at The Haven.